LONDON, January 16 2019 - Wiztek, a provider of online and mobile tech support services, is ready to offer consumers a new, simple and speedy way to access tech support, on-demand 24/7. Now, people facing everyday tech problems can speak with a tech expert within 30 seconds for free, and potentially have a solution within minutes. There are no subscription costs, just a reassuring ‘no fix - no fee promise’, for complete peace of mind. As the number of tech devices becoming part of our everyday lives increases, so too does our need for support and advice. We spend a lot of time tracking down answers in chat forums or trying to find and then follow self-help videos. Typically, we have a go-to person that we call upon - a family member, a friend, a colleague, even a neighbour - however, we can’t always rely on these people to have the answer, nor are they always available when we need them. With the revolutionary tech support solution, Wiztek, you can reach an expert in under 30 seconds, anywhere, from any device, using an extremely simple 3- click process via the friendly app or website. Using clever AI technology, your problem is matched to a community of IT experts, who will then connect to you instantly via call, chat or video, any time day or night, and for free. It is the fastest, most convenient way to diagnose your tech problems. The Wiztek community of experts and helpers offer knowledge of a multitude of devices, covering a full range of hardware and software issues. 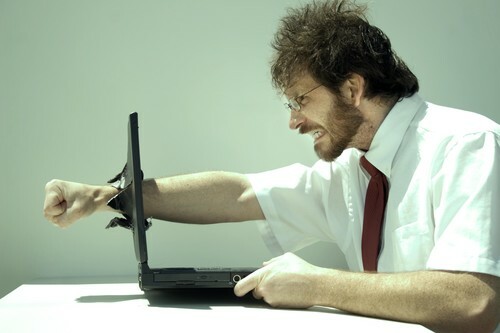 So, whether your laptop is running slow, you are unsure on how to set up a device, you can’t connect to a network, or fear your hardware is infected with a virus, a Wiztek expert can help. No problem is too big or too small. And you can be sure that you will never overpay with prices starting at just £4.90. Unlike, alternative tech support options, the Wiztek tech support service is available with no sign-up subscriptions and only charges once an expert is confident that they have a solution for you. The community is user-rated, so you can be assured that you are speaking with an expert you can trust. “Our aim is to revolutionise the tech support market to be more relevant now - it’s time to say goodbye to outdated, product support call centres,” says Hani AL-Qadi, founder of Wiztek. Paul Amsellem, CEO of Wiztek added: “Nowadays we juggle a number of tech devices in our busy lifestyles, we can’t be expected to understand them in their entirety or be experts in identifying and solving problems when they arise. Wiztek is designed to provide everyone with someone to turn to, and to deliver a hassle free, speedy service, at a fair price. It’s the most advanced, highly personal, on-demand digital tech support service available, yet it couldn’t be simpler,” Amsellem concluded. This press release was distributed by ResponseSource Press Release Wire on behalf of The PR Room in the following categories: Men's Interest, Women's Interest & Beauty, Consumer Technology, for more information visit https://pressreleasewire.responsesource.com/about.